Unless you’ve been hiding under a rock for the past few weeks you are aware that healthcare in the United States is once again heading into turbulent policy waters with the election of a president whose political party has very different ideas about how to improve our healthcare delivery system. Or so we have been led to believe. From what little is known to this point it is unlikely the Trump Administration will just blow up the Affordable Care Act in the first 100 days of its tenure. That is fortunate because, irrespective of your political beliefs, haphazardly dismantling the current system would undoubtedly result in unintended – and politically undesirable – consequences, potentially causing harm to millions of patients and healthcare providers. That being said, there is no doubt substantial changes will be made and quickly by Washington, DC standards. If anything is predictable about Mr. Trump it is that he won’t be patient with bureaucratic efforts not quickly producing tangible results. Whether that impatience can be channeled into effective change management in a kingdom that literally thrives on maintaining the status quo only time will tell. The next six months are going to be incredibly confusing and confrontational as we seek to consider and understand the potential ramifications of new health policy proposals. Speculation on the impact of such proposals will span from certain and imminent catastrophe to unbridled joy. Through it all be reminded that often in many ways the more things change the more they stay the same. To that point, in helping senior living organizations anticipate how to best position for changes in healthcare policy I think it is more prudent than ever to focus on what we know won’t change. The accelerating demand for affordable housing, home and community-based services and healthcare resulting from the demographic realities of an aging population will not change. Underlying pressures such as technology and innovation driving up healthcare costs will not change. The growing impact of consumerism on healthcare will not change. Demand for qualified human caregiving resources outstripping supply will not change. The increasing burden chronic disease management puts on our delivery system will not change. I’m sure you can think of your own realities to add. If you aggregate all of the environmental certainties shaping the healthcare industry today and in the future, logic dictates that value will continue to be at the center of new policy initiatives. And that means alternative payment models (APMs) will continue to garner support if not greater efforts to accelerate their adoption. 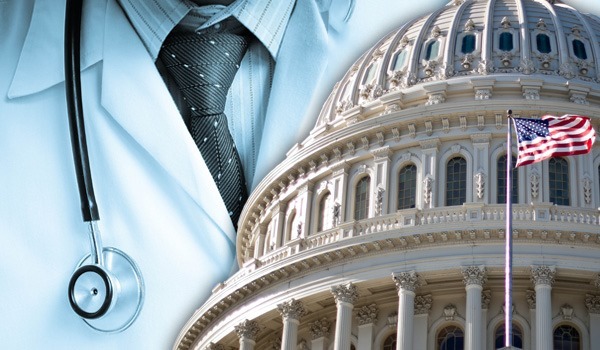 Recall, the Medicare Access and CHIP Reauthorization Act (MACRA) provides substantial incentive for physicians to migrate into advanced APMs, and that legislation was passed by Congress with overwhelming bipartisanship. MedPAC, the nonpartisan legislative branch agency that provides Congress with analysis and policy advice on the Medicare program has also been very supportive of APMs. So when answering the question, “now what?” my response is to continue developing organizational attributes that will build competitive advantage as a participant in APMs. Focus on the no regret investments that build enterprise value in the context of emerging care delivery models: e.g., demonstrating a commitment to continuous quality improvement; assess the value of specialization; improve productivity and reduce costs without impacting outcomes; develop an employee value proposition; build a robust cost accounting system; focus on beneficial referral relationships; measure and report on performance; invest in community-based downstream relationships. On October 25th of this year I had the opportunity of attending the fall LAN Fall Summit in Washington. The Summit brought together nearly 800 participants representing senior leaders from across the health care community, including providers, payers, employers, patients, consumer groups, health experts, and state and federal government agencies. Here’s the singular most important message that I would like to share from my participation there: alternative payment models are not unicorns. They exist, they are being tested, learned from and gaining increased support daily. They are transcending the ideological spectrum of political discourse. The advance toward APMs is accelerating, and as shared above I do not see that being at all abated by the results of this presidential election. I can see the opposite effect taking shape. Sadly, I believe there will come a time in the not too distant future when many nonprofit and smaller senior living organizations that depend upon post-acute/long-term care revenue for survival will find their organizations have waited until the decision of whether or not to participate in APMs has been taken out of their hands. For profit organizations are investing millions in learning how to compete and win under alternative payment models. If your organization is not taking steps to be equally competitive, then I would focus your energies instead on building acquisition value. The first step in determining whether and how your organization can be competitive in a world of value-based care delivery models is to perform a gap assessment: what attributes must you have to compete under APMs compared to your organizational current state – and what investments are required to bridge that gap? Do you have the financial wherewithal to make those investments? How much time do you have to effectuate change? 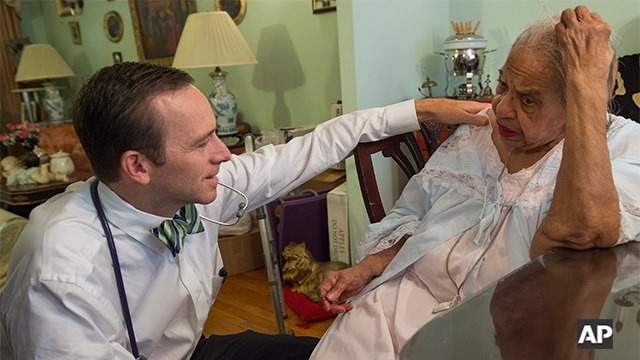 There was a post in today’s HealthAffairs Blog (see links at the end of this post) with some helpful insights on the importance of affordable housing as a key element of being able promote and sustain healthy aging. I have written rather extensively over the years in this space on this topic, and I have long been an advocate for Affordable Housing Plus Services. I don’t recall if I’ve shared this here before or not, but I once had the opportunity to ask directly a former Secretary of Health & Human Services why there wasn’t more effective communication and coordination of policy initiatives between HHS and HUD. The response was unflattering: that was a great idea without a plausible explanation for why it had not been actively pursued. Thus be to bureaucracy. If I could build upon the major policy themes pointed out in the HA post, something I have learned over the past five years is that a primary reason acute care providers struggle to understand post-acute care is because post-acute care is a lot more complicated than I understood. And, of course, I make that observation somewhat tongue-in-cheek because that’s all I’ve done for the past two decades. But this article reminded me again how complex post-acute/long-term care can be. And that’s because it’s not just about providing good healthcare. It’s very much about where that healthcare is going to be provided (in what structure does the patient live). It’s about what support services are available to assist the patient with activities of daily living (in what community does the patient live). It’s about hospitality and entertainment (who wants the sole focus of their life to be an illness?) And it’s about insurance because most often care providers and/or insurers are underwriting extended care for which it is often difficult to predict duration, complexity and cost. The same fundamental attributes that make it a complex delivery model make it a complex policy issue. Acute care providers are being more intimately connected with post-acute care providers every day through healthcare public policy initiatives. My counsel is they would do well to begin understanding the root causes of what makes post-acute and long-term care more complex than they may have realized. As Joey Mack (a/k/a Jimmy Fallon) used to say on Z-105, “… we’re back!” My last post here was at the beginning of December last year. 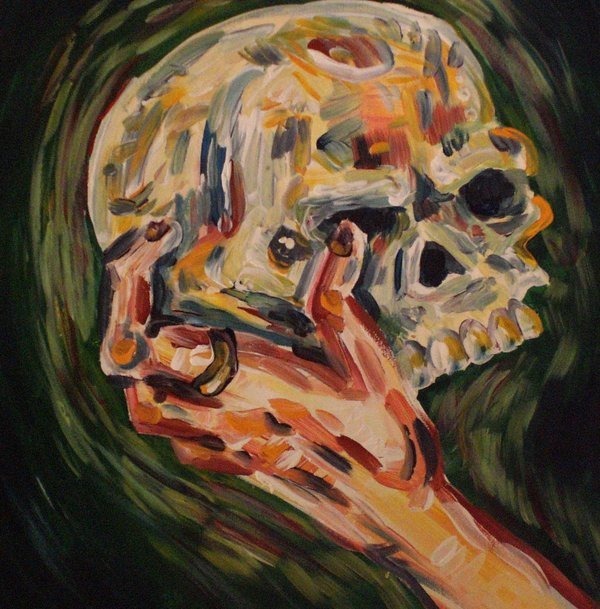 That’s just about the time I entered into serious discussions on the sale of Artower Advisory Services to Symbria, Inc. 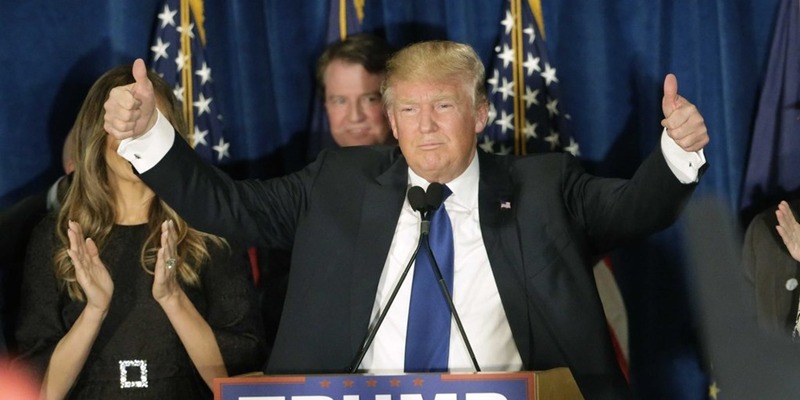 I have to say the intervening period has been dominated a lot more by politics than policy – at least so far as the broad spectrum of media reporting have favored upon us a la the circus that is the American presidential race. Believe it or not, in spite of that depressing entertainment a lot of policy continues to be made every day – much of the action happening at the state level. The discussion and debate over healthcare policy is anything but dormant. So where do things stand on the future of healthcare reform? If Donald Trump is elected do you think he’ll be able to withstand industry resistance to repeal & replace the Affordable Care Act? If Mrs. Clinton is elected, will she be able to use the Medicare model to expand coverage and lower costs? If Bernie Sanders is elected, would the Chinese economy ever grow fast enough to absorb all of the new US debt needed to fund his great ideas? Will this new era of industry consolidation do anything to help achieve the Triple Aim goals espoused by supporters of the Affordable Care Act? Or just create greater monopsony power? What, if any, should be the role of government in addressing escalating drug prices and Pharma’s insatiable appetite for capital? How do we even begin to build a qualified workforce to care for our aging population with stagnated economic growth? More evidence daily shows the promise of mental/ behavioral health integration; what’s the most effective way to accomplish this? New payment and care delivery models have so far shown mixed results, at best; should we continue to invest or stop trying? Will we be able to build the requisite community infrastructures ultimately needed to support population health and the benefits that portends? Where and how should public policy most effectively intersect with health technology? What’s the point of chest-thumping on transparency in healthcare when we are still unable to provide meaningfully basic cost data? Big Data? Big security risks. What can be done to protect patient medical records when it seems nothing electronic is protected? These are a few of the topics I have been mulling around in my mind over the past five months. These are a few of the topics I would like to start writing about again. I hope if you are still out there signed up as a follower of the PolicyPub you will think about getting engaged again discussing and debating these issues. As we move through the summer and head toward the two political parties’ national conventions healthcare is going to become a hot topic for debate again. I will do what I can here to help keep you informed and energized. VALUE. I have written quite a bit in this space over the past three-and-a-half years on the role of value in healthcare and how it has been purported to be used as an effective public policy tool. Just type in, “value” on the search box to the right and 10 such posts will appear for your reading pleasure. But I haven’t written about value in the context I am about to now. Earlier this week Paul H. Keckley, Managing Director of the Navigant Center for Healthcare Research and Policy Analysis, posted The Meaning of “Value” in Healthcare to the Health Care Blog. In that post he argues rightly that the significant shortcoming of value as a driver of anything in healthcare is that it is not being defined by end users – i.e., patients, or consumers as it were. In stark contrast to what I have advocated in the past I would go beyond that. Keckly muses of a system where consumer-driven healthcare is manifested in the dissemination of knowledge and information that empowers rational decision-making and the efficient allocation of resources. Where he stopped short – whether by omission or design – was to suggest the best means of achieving that nirvana. I will pick up the ball and take it a little further. It is not enough to advocate for consumer-driven empowerment as the means of leveraging value in our healthcare system. We must also recognize the stark reality that current healthcare policy – and in particular, the Affordable Care Act – is a tremendously effective impediment to achieving that empowerment. I remain as convinced as ever that value – Porter’s axiomatic assertion that outcomes over cost will drive achievement of the IHI’s Triple Aim – is key to delivery system improvement. But I am terribly disillusioned that value can be effective in a system that is controlled in such a manner that it is determined artificially and arbitrarily by the likes of academics, bureaucrats, administrators and consultants. Alternative payment models – and the care delivery models that are being developed in response to the artificial financial incentives they are offering – are doomed to ultimately fail because they lack the inert ability to leverage value as it is perceived by the individual consumer, one person at a time. By failure I do not mean they will be soon to go away – but they will not achieve the shared goals referenced above. Disagree? Greetings PolicyPub patrons. I would like to take a moment and share with you a whitepaper recently published by the Health Care Payment Learning and Action Network. The purpose of the whitepaper is to provide a roadmap to measure progress and establish a shared language and common set of conventions to help facilitate discussion and debate regarding alternative payment models (APM). 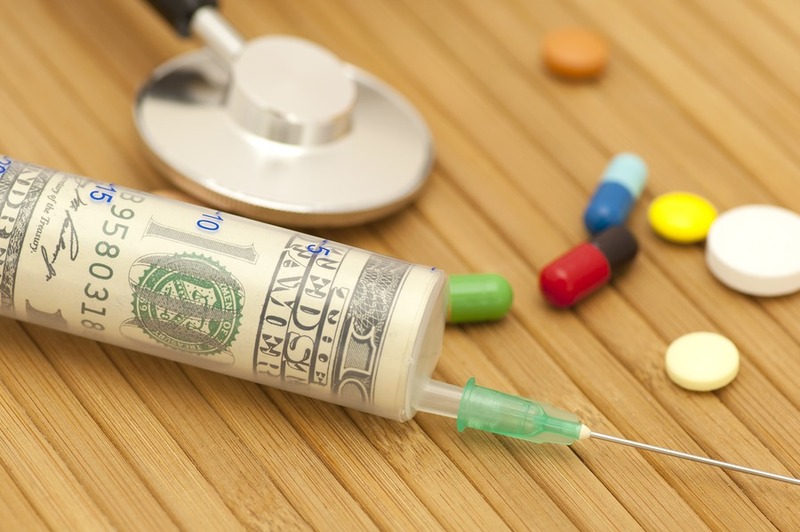 tying 85 percent of all Medicare fee-for-service to quality or value by 2016 and 90 percent by 2018. Principle 1: Changing the financial reward to providers is only one way to stimulate and sustain innovative approaches to the delivery of patient-centered care. In the future … it will be important to monitor progress in initiatives that empower patients (via meaningful performance metrics, financial incentives, and other means) to seek care from high-value providers and become active participants in clinical and shared decision-making. Principle 2: As delivery systems evolve, the goal is to drive a shift towards shared-risk and population-based payment models, in order to incentivize delivery system reforms that improve the quality and efficiency of patient-centered care. Principle 3: To the greatest extent possible, value-based incentives should reach providers who directly deliver care. Principle 4: Payment models that do not take quality and value into account will be classified in the appropriate category with a designation that distinguishes them as a payment model that is not value-based. They will not be considered APMs for the purposes of tracking progress towards payment reform. Principle 5: In order to reach our goals for health care reform, the intensity of value-based incentives should be high enough to influence provider behaviors and it should increase over time. However, this intensity should not be a determining factor for classifying APMs in the Framework. Intensity will be included when reporting progress toward goals. Principle 6: When health plans adopt hybrid payment reforms that incorporate multiple APMs, the payment reform as a whole will be classified according to the more dominant APM. This will avoid double-counting payments through APMs. Principle 7: Centers of excellence, patient-centered medical homes, and accountable care organizations are delivery models, not payment models. These delivery system models enable APMs and, in many instances, have achieved successes in advancing quality, but they should not be viewed as synonymous with a specific APM. Accordingly, they appear in multiple locations in the Framework, depending on the underlying payment model that supports them. HCPLAN is open to anyone interested in being kept informed of and joining the conversation on HHS’s efforts to develop new payment models intended to be structured around all of the buzzwords you’ve heard over the past five years now: e.g., value, quality, transparency, patient activation, evidence-based, and so on. What it is not, based on my experience, is a veiled promotional vehicle to evidence broad-based support of new payment models that go largely unchallenged. To the contrary, there is a great deal of practical concern being expressed supported by real life experience having already pursued new payment models – the good, the bad and the ugly. 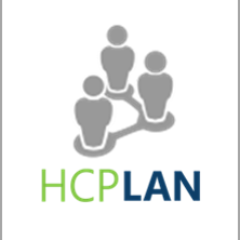 To participate in HCPLAN, just visit the registration web page. A few years back when the ACO concept was starting to gain traction as a result of the Affordable Care Act’s Shared Savings Program, Mark Smith, MD of the California Healthcare Foundation remarked that, "the accountable care organization is like a unicorn, a fantastic creature that is vested with mythical powers. But no one has actually seen one." I am starting to wonder, as are many others, whether that analogy might even more adeptly describe population health and the tidal wave of efforts now being directed toward managing same. In a post today on the Health Affairs Blog David Kindig argues that in light of the definitional challenges that have led to confusion of what population health is – or is not – what’s now required are “multiple definitions.” Counterintuitive as that may seem, Mr. Kindig explains how the term is today being increasingly applied to populations characterized by disease state and/or chronic condition (i.e., a clinical perspective) rather than the traditional understanding of populations defined primarily by geographic origin. The latter’s focus is rooted in public health officials’ efforts to observe, quantify, assess and understand a multitude of personal and environmental considerations that impact the health of individuals – and how that impact is manifested in health characteristics of a defined population over time. The former is a growing focus of new delivery and payment models that aim to lower costs by decreasing demand – while assumedly concurrently not affecting safety, quality or having a negative impact on outcomes. More importantly, population health in the clinical sense is being touted as a primary means of assessing the success of those models – and in turn, providing financial reward for that success. And further, in contrast, it is being used as a disincentive to pursue activities that are not proven to improve population health. And there’s the rub, isn’t it. 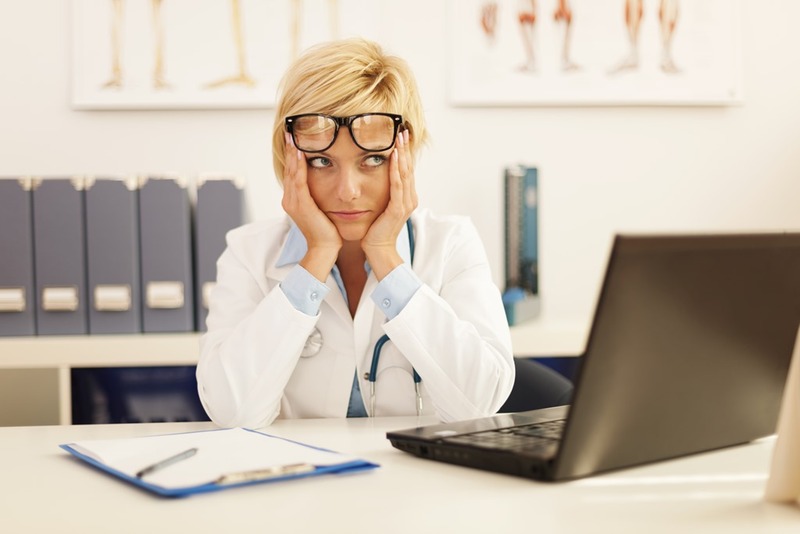 One of the two obstacles that currently prevent us from being able to leverage value in healthcare as Porter, et al have envisioned as the market mechanism that will curb costs and increase performance is the ambiguity surrounding how to define a patient outcome (the other being 19th century cost accounting practices still in place in healthcare). If we haven’t yet been able to adequately define and agree upon the comparative merits of individual patient outcomes, then how the hell can we suppose to find benefit from applying that shortcoming exponentially? Things have gotten so pitiful in Washington that political reporters – being anxious to share any news their audiences might find not depressing – are apparently falling over one another buying into the idea that a divided city can suddenly come together and address the $174 billion political juggernaut of Medicare reimbursement for physician services. Using words like momentum, enthusiasm and optimism they report that Congress is advancing on a permanent Doc Fix. The rightwing of the Republican Party has already made clear its intent to use intransigence as the primary tactic to implement a strategy of growth through attrition in this 114th Congress. And the only hope for securing Democratic support to bridge the voting gap left in their wake will be if those Democrats subscribe to Ms. Pelosi’s edict of not reading healthcare legislation before voting on it. Because if they actually read it, they will in all likelihood not be happy at the entitlement program cuts needed to fund the fix. Alternatively, funding offsets could be achieved on the backs of other clinical providers and Medicare recipients. Those have always been pushover constituencies with poor lobbying representation, right? Or, to steer clear of that minefield legislators could assume funding offsets will come from expanding value-based payment models and continued implementation of other ACA reforms (e.g., lowering of hospital readmissions). That should be an even easier sell with Conservatives in Congress (yeah, more sarcasm). And let’s not forget the public and private enterprise investments made into ICD-10 implementation, which Republican lawmakers would probably seek to delay as part of SGR repeal. That will be a contentious ideological battle separate from not having $174 billion at hand. All this has to be worked through before physicians face an average reduction of 21.1% in Medicare payments in less than three weeks. 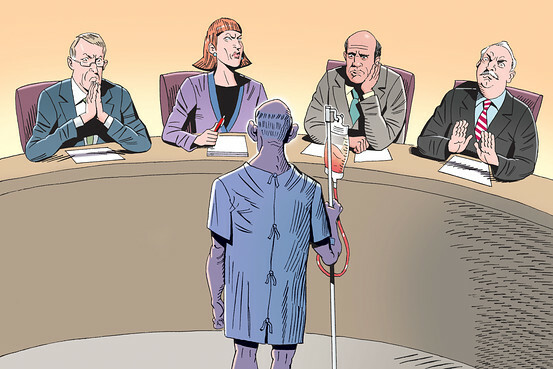 Physicians who are already nearing their human capacity and ability to fight through the regulatory obstacles that impede helping their patients. So don’t buy into the hype: 2015 looks a lot like 2002, 2003, etc. – time once again to kick the can down the road.